A large, fast growing tree. 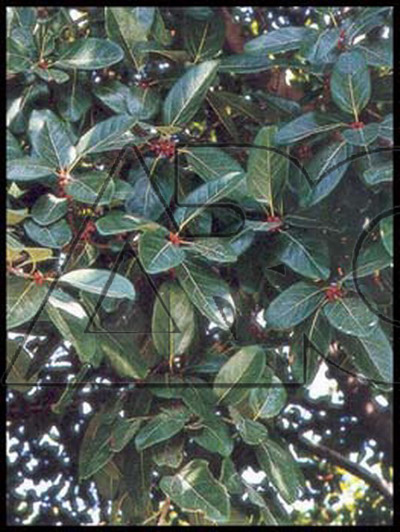 Leaves are large, thick, leathery, similar to Ficus benghalensis. It can be distinguished from the latter by its obtuse leaf bases and apiculate tips and its prominent white veins. Fruit are figs, orange when ripe.